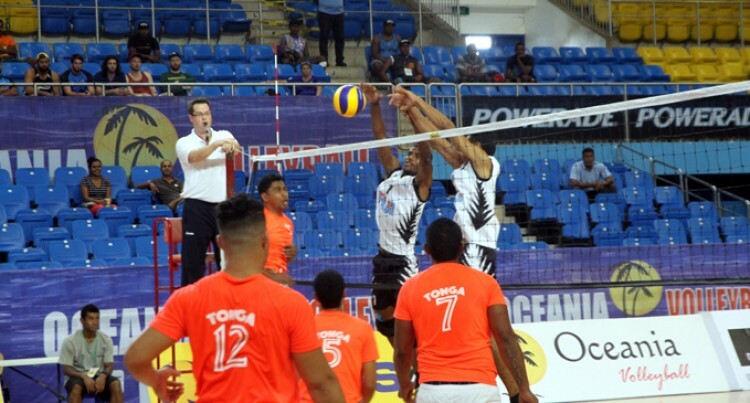 Fijian Whites edged out Tonga 3-1 in their first game of the Oceania Zonal and World Qualifying Championships at the Vodafone Arena, Suva yesterday. The Fijian men dominated the first set 25- 13. However, Tonga hit back by winning the second set 25-22 but that single win was not enough to help them as they were beaten respectively in the third and fourth sets. 25- 17 and 25- 20. Speaking to SUNsports, Tongan coach Esafa Latu said they have put the loss behind them as they look to the next game. “It was a tough game because playing Fiji is always tough but at the first set, my boys were not really into the game,” he said. “They made up on the second set but there are a lot of things to work for the next game. The team was not really well-prepared due to short of finance. Most of the players were dropped because they did not train so that is why we have these ones,” he said. Fijian Whites coach Tevita Lewatuitovo said they would be focusing more on their match against New Zealand and the world qualifiers that starts tomorrow. Lewatuitovo added that they are confident of winning their next game. “The big one that we are looking at is against New Zealand and the qualifiers for Friday and Saturday where we will give them a run for their money,” he said. The Whites take on Cook Islands today at 5pm at the Vodafone Arena, Suva.